The Construction Industry Training Board has forked out £1.2m to buy 16 plant simulators to help train the next generation of operators. It is the first large-scale investment in a dedicated virtual training centre as the industry faces the challenge of finding 5,000 new plant operators over the next five years. The simulators from Sweden and Canada have been installed at the National Construction College in Bircham Newton, Norfolk. They will be used to train apprentices and trainees in a wide-range of plant machinery, including excavators, cranes, crawler dozers, telehandlers, tractors and dumper trucks. CITB plans to use this technology to train people for an even wider range of jobs in the future. The simulators help provide a life-like experience in all weather conditions, while minimising health and safety risks before trainee move onto real machines. The simulators, from CM Labs in Canada and TenStar in Sweden, also electronically record progress and analyse how learners behave in different scenarios. 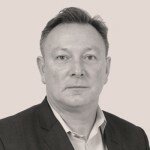 Graham McPhail, Head of Education and Training at CITB, said: “This is the first large-scale investment into plant simulator technology anywhere in the UK. 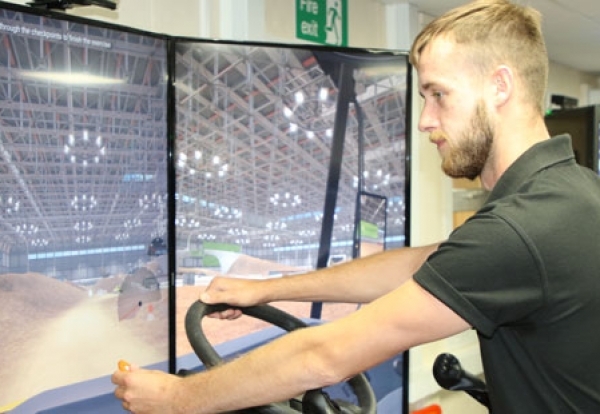 Josh Missin, a 24-year-old plant apprentice from Wisbech who works with plant hirer Mervyn Lambert, was one of the first to train on the new simulators. He said: “As someone who had never used any form of plant machinery before, I was quite nervous before doing so. “However, the simulators allowed me to quickly learn how certain controls worked, which meant I felt much more confident when using the machines in real life. “They are also good when bad weather would stop us from using the real machines, as you don’t feel like you’ve lost a day’s work. Full courses details and entry requirements are available to view on the National Construction College Apprenticeships pages.